A1 DATASHRED offers super-fast, on-site document shredding services in Brookline MA and surrounding areas. Our shredding pros can promptly arrive at your home or office with our industry-grade equipment and completely destroy all of your confidential files. Our services are available five days a week!  A1 DATASHRED has built a solid reputation in Brookline Ma as a company that offers first-rate shredding services that you can depend on every time. When you call us to schedule an appointment, you’ll speak directly with one of our professionals. We take the time to listen to your needs, answer your questions, and carefully go over the details of our services. You choose the service that is right for you. We’ll give you an up-front, bottom line quote and then set your appointment. Our team will arrive on time and work quickly to get the job done. We offer convenient next-day service Monday through Friday. No matter where you live in Brookline MA, we can arrive at your home or business and destroy all your documents and files. We have a fleet of top-grade paper destruction trucks that allows us to do our job efficiently at your location. We transfer your files into our locking bins for the secure moving of your papers to our truck. At our truck, the bin is lifted and emptied into the shredder where all documents are destroyed beyond recognition. We even offer video monitoring service that allows you to view the shredding as it happens. One-Time Shredding – You may only require shredding services from time to time. If so, we offer one-time document destruction service that takes care of all your business records anytime you call. Scheduled Shredding – If you need company files shredded on a regular basis, then you can sign up for our scheduled service. We supply your office with locked bins and consoles. Just dispose of your corporate documents in our secured bins, and we’ll come to empty and shred according to an ongoing schedule. We offer weekly, bi-weekly, and monthly shredding services. Are you finally getting around to digging through those old personal files you have at home? Cleaning out a room filled with outdated documents can become tiring. Shredding those documents by hand or with a tiny shredder can be even worse. A1 DATASHRED can take all the stress out away by destroying your documents with our residential shredding service. We can pack all the papers into a bin and shred them using the same equipment that we do serving businesses. We can come to your home Monday through Friday and you can see your papers being destroyed. If you need your documents shredded, then schedule an appointment with our professional shredders today. Not only do we handle disposing of private documents, but A1 DATASHRED also takes the extra step to preserve and protect the environment the best we can. All of our shredded paper gets recycled to ensure there is no impact on landfill. Call us to make your appointment right away.